One of my bookshelves is called “books to spare.” It’s a shelf only in digital designation; in reality, no one shelf could contain them all. Nor should it, as the books don’t belong together. The only identifying trait they share is this lack of belonging. Unfit for other collections, these misfits have been given places in mine. 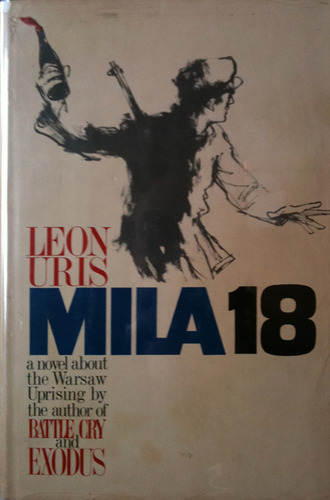 It began with Mila 18 by Leon Uris, a book rescued after it was discarded by a public library (literally dis-carded, its card pulled from the catalog). This poor broken-backed book made its way from the library’s shelves to my mother’s to mine. It was one of the first books that took me beyond myself, so I took it with me as I moved out into the world. As a university student I worked in the Preservation department of the Marriott Library, where I was able to repair and re-bind many books, including this one. In the years since I have accumulated some four dozen titles I can identify as books to spare. Among them are more worn hardcover Leon Uris titles, Russian lit, poetry, and art books. Some are prize-winners. There are signed books that were consigned to bargain bins. Two are in my top ten, some I may not get around to reading. I just finished Gates of Fire: An Epic Novel of the Battle of Thermopylae by Steven Pressfield, a mass market paperback I bought used. Some are remainders, others are clearance, many are library books taken out of circulation. The library held another semi-annual sale last week, and I took in The Raw Shark Texts, Atala and René, Escape From Sobibor, and Heavy Sand. The most valuable is a 1923 edition of King Arthur and His Knights illustrated by Louis Rhead, handed down to me by my grandmother. I entrusted it to the capable hands of my friend Tomomi in Preservation, and she restored it beautifully for future generations. I have no intention of selling it or any others, but I do pick up some in order to pass them along, such as a cheap paperback copy of Indiana Jones and the Temple of Doom — in Russian! It’s all about matching the book with the right owner; some books need not be read – only spared – to be appreciated. This entry was posted on April 9, 2012 at 2:19 pm and is filed under Book Buying, Reading List with tags Gates of Fire, Leon Uris, Marriott Library, Mila 18, Preservation, remainders, Steven Pressfield, used books. You can follow any responses to this entry through the RSS 2.0 feed. You can leave a response, or trackback from your own site.